This crinoid calyx fossil is called Macrocrinus mundulus (Hall). It dates to the Mississippian Period and was found Keokuk of Warsaw, Illinois, USA. 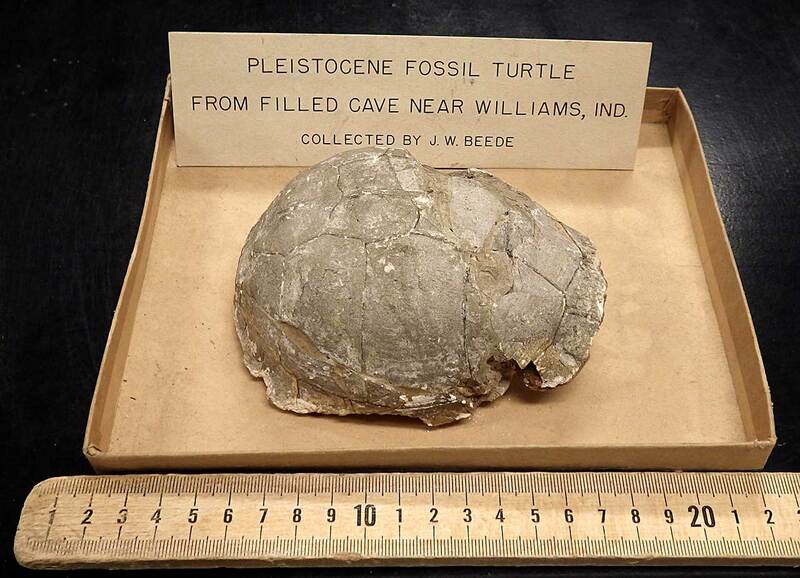 The fossil is part of the Indiana University Department of Geology collection. 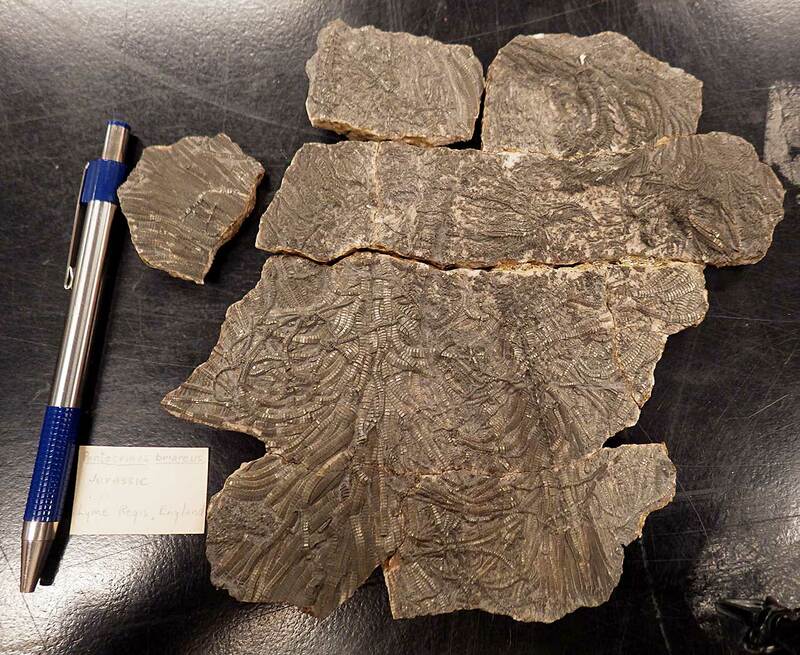 This large fossil plate contains the remains of the crinoid Pentacrinus briareus. 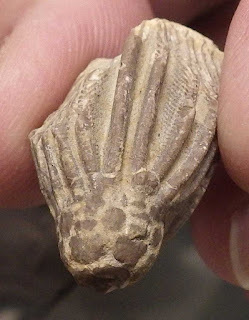 It was found in Lyme Regis, county Dorset, England. 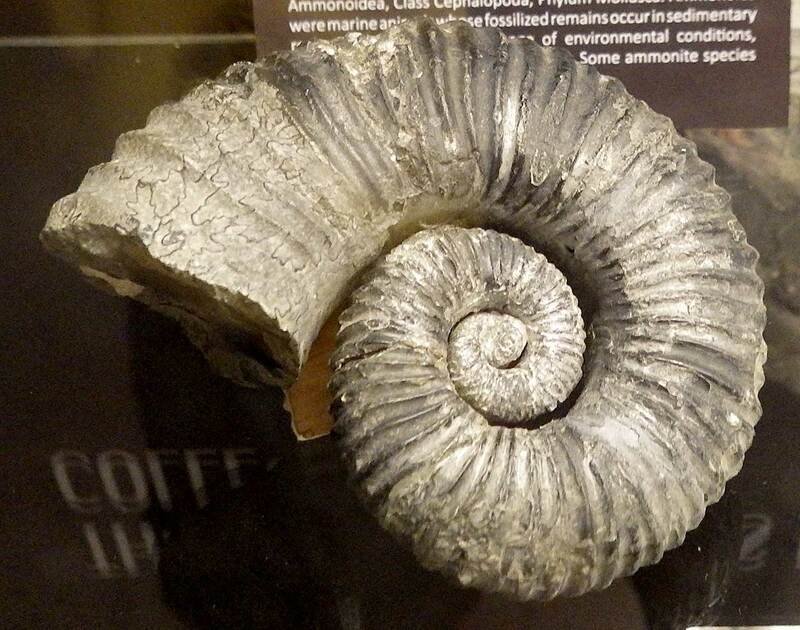 The fossil dates to Lower Lias of Lower Jurassic Period. Dimensions of the plate are about 16 cm by 15 cm. 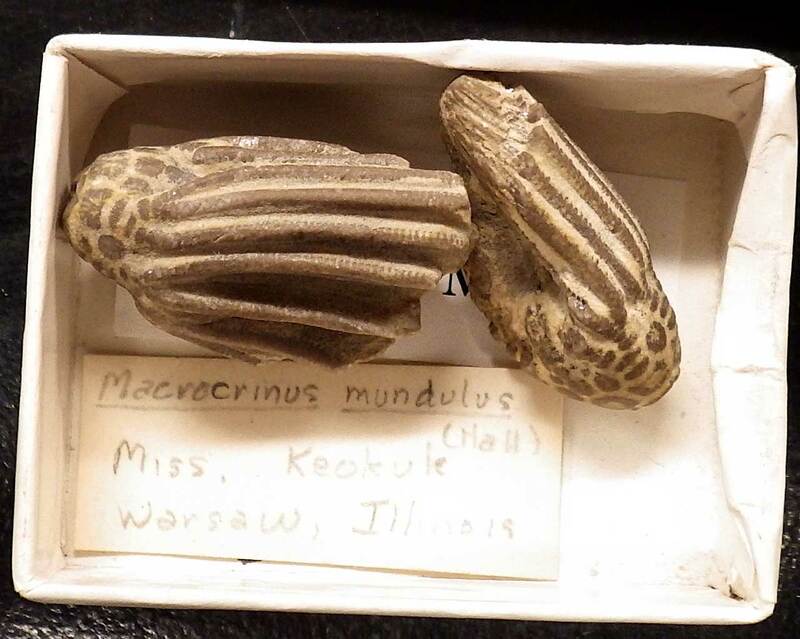 It is part of the Indiana University Department of Geology collection. Fossil turtle shell found in cave in Lawrence County Indiana USA. Dates to the Pleistocene Epoch of the Quatemary Period (Cenozoic Era). Fossil part of the Indiana University collection. Thanks to Kenny for image.